A sunny morning in Ramat Hanadiv, not far from the Mediterranean Sea. Euchloe ausonia is so focused on her search for nectar, that she allows my approach. Abundant along the Sea’s coast and inland, their host plant, various Mustards and other crucifers readily support these little beauties. 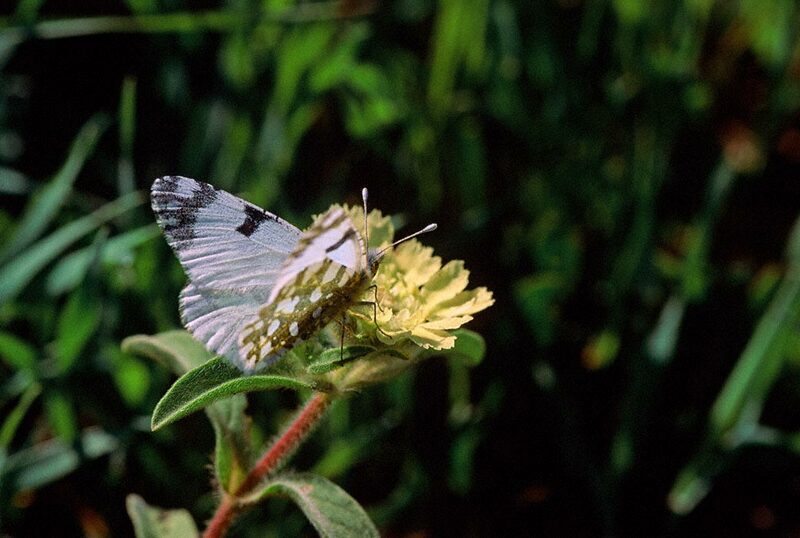 Ramat Hanadiv, known worldwide for their verdant, expansive gardens, is an excellent destination for viewing butterflies. The horticultural beds (acres and acres of them) are surrounded by hundreds of acres of undisturbed habitat. Big parking lot, miles of paths, shop, facilities (excellent) and superb restaurant steps away from their perennial gardens makes this botanical oasis a terrific place to shoot butterflies. I photograph in the morning and the walk 100 feet to have a tasty lunch (gluten-free for me) in the restaurant. Luxury, luxury. Again I am thankful for the white butterflies. When others are absent, Euchloe a. and other white buerflies zip in to keep us focused. Good. A dear friend of mine, by the name of Brad Owen, is enamored of butterflies. He named his daughter Vanessa because he thought it the most beautiful butterfly he knew, so I sent him your picture. I wish I had known you earlier – you two would have had a wonderful time looking at butterflies. He recently moved to N Carolina because – skinny guy that he is – he hates the cold and grey of winter here in Pennsylvania.